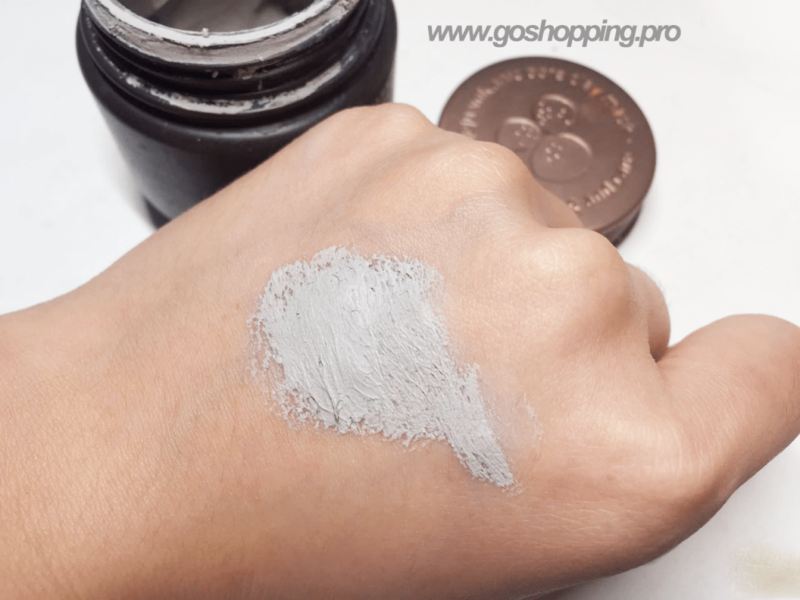 When I talked about the best Korean mask for acne, I already introduced this Innisfree Super Volcanic Pore Clay Mask. 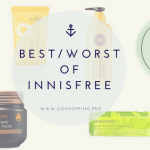 As the best seller of Innisfree, this clay mask is quite popular both in Asian and American. However, popular does not always equal to good and does not mean it is right for you. Hence, I want to go a little bit deeper and give a review to this super volcanic pore clay mask from Korea. Hope you could find some ideas before you make a decision. As you know, I always on the lookout for deep cleansing products.I insist on doing deep cleansing work once a week to remove dirt and dead cells. It is a good way to promote absorption of skin care properties and get rid of pimples.Clay masks always do their job well on deep cleansing, so when I heard about this Innisfree clay mask, I decided to have a try. Unlike other clay masks, this mask is quite lightweight and cute(3.38 Ounce,100ml).The brown color outside makes me think of Volcano. It is made of plastic so you don’t have to worry about it will break. 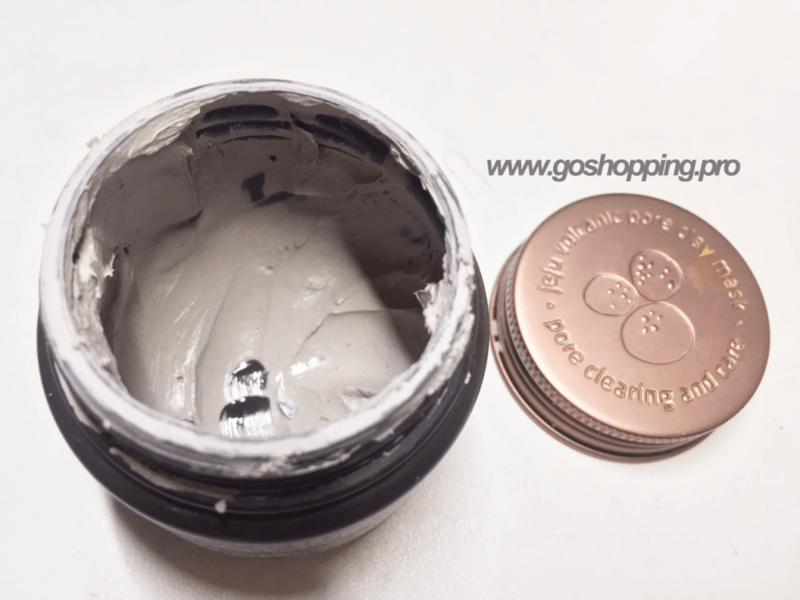 Make sure to keep the lid closed after applying it so that the clay in it will not dry out. 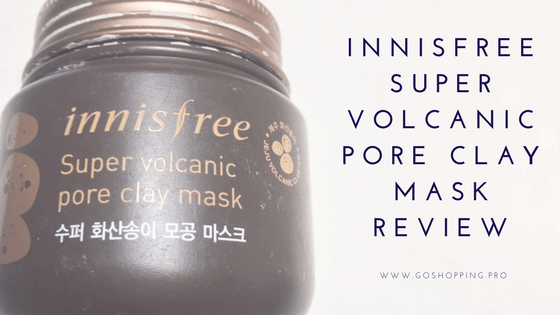 This mask is packed with Jeju Super Volcanic Cluster. You may ask what is Jeju Super Volcanic Cluster. In fact, it is just a kind of particle from volcanic mud to draw out dirty things from your skin such as sebum. The cosmetics companies are always keen to giving something normal a “mysterious” name, right? 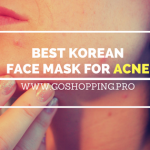 Other ingredients in this mask contain Titanium Dioxide, Butylene Glycol, Bentonite, Polyvinyl alcohol, Walnut Shells, Cellulose, AHAs, BHAs and so on. You may notice that AHA, BHA, Walnut Shells are common and gentle exfoliants that can be found in other deep cleansing products as well. However, it is not alcohol-free. The same as other clay masks, you can apply it after cleansing and toner. I often use it right after showering because my pores open completely at that moment. You can use it on face and neck even on the back. Wait for 10 – 15 minutes and rinse off with lukewarm water. I have to say it is a little bit hard to remove and I always wash it with towel or cotton pad. I apply it once a week and you could use twice a week if you are oily skinned. 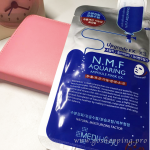 Besides, I will continue to use a hydrating mask such as Mediheal NMF Mask . The texture is kind of creamy with no observed particle you can feel. It has a slight scent of mud which I think is quite acceptable. I enjoy the “cool” feeling whenever the clay stays on my face. This Innisfree volcanic pore clay mask leaves my skin feeling so fresh and clean but not stripped(I am in combination skinned camp). But one of my dry skinned friends said her skin feel a little bit stripped though. I start to use this one when I suffer from acne and now I still use it in my deep cleansing skin care routine. It truly helps to unclog the pores and control oil secretion. Some people may feel confused with these two masks. The biggest difference of them is that Super one contains 6020 mg of Jeju volcanic clusters and Jeju one contains 3000 mg. This difference makes the Jeju Volcanic Pore Clay Mask more gentle than Super one. Hence, Jeju one will suit for very sensitive skinned and dry skinned peers. All in all, [amazon link=”B00F5NVSIA” title=”Innisfree Super Volcanic Pore Clay Mask” /] is a very good deep cleansing product for combination and oily skinned people. 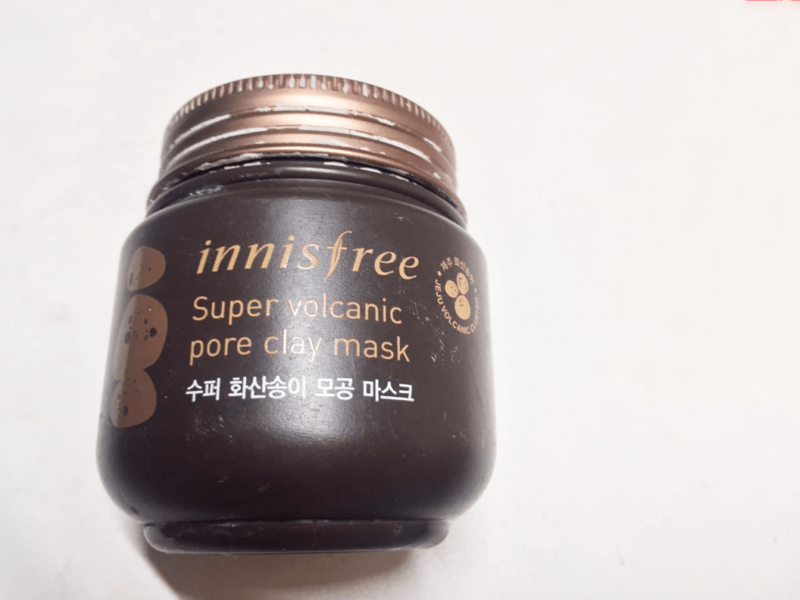 For dry skinned and very sensitive skinned guys, you may look at [amazon link=”B005FQQWSI” title=”Innisfree Jeju Volcanic Pore Clay Mask” /].Hope my review be helpful to you.